Description: Guy practicing yoga moves and positions outdoors. 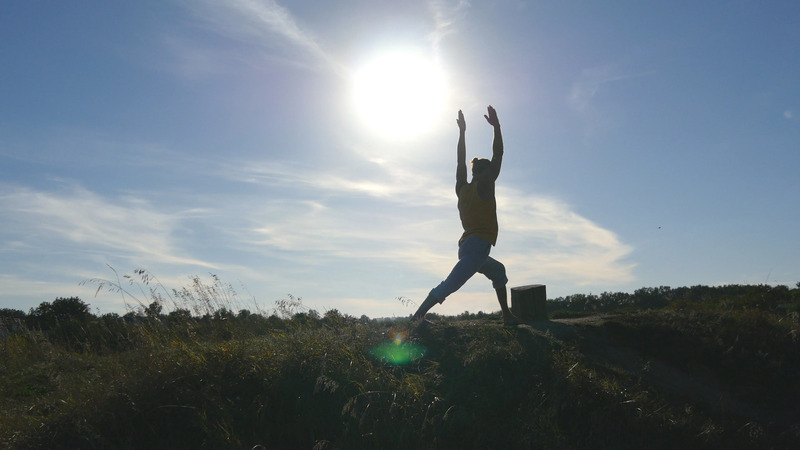 Young man standing at yoga pose at nature. Athlete doing strength exercise at the hill. Beautiful sky with sun background. Healthy active lifestyle.